Patience is one of the great virtues. It is one of the Six Perfections to be cultivated on the bodhisattva path. Patience is the antidote to anger—the negative mind that can eradicate the virtues of countless past lifetimes. Particularly in today’s environment, patience is a virtue that is essential. Anger, hatred, intolerance and their consequences are creating enormous problems in our collective experience and the physical environment. We can change ourselves and find mental balance, one by one. Thus one by one, we can change our world and the environment. 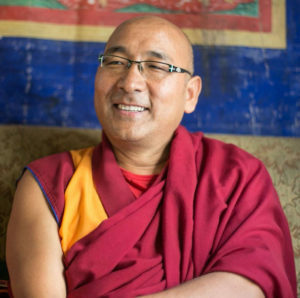 Join Geshe Thubten Sherab as he leads this retreat on the famous Patience chapter in the classic Guide to the Bodhisattva’s Way of Life (Bodhicaryavata) by the Indian master Shantideva. (It went “viral” in the 9th and 10th centuries with dozens of translations and commentaries throughout Asia.) This text is used by H.H. Dalai Lama as a basis for meditation every morning and has been the source of realizations and inspiration for many great masters over the centuries. 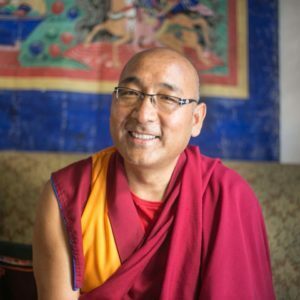 Geshe-la will use an experiential approach to show how we can use the concepts of impermanence, karma, wisdom, and compassion to practice patience in our daily lives and attack and eradicate our anger and annoyances, big and small. His effervescent humor brings any topic he teaches to life. The retreat will include readings and teachings along with guided meditations on the topics to generate deep conviction. Harmful beings are everywhere like space itself. Impossible it is that all should be suppressed. And it’s as though all foes had been subdued. And what is left to be restrained?